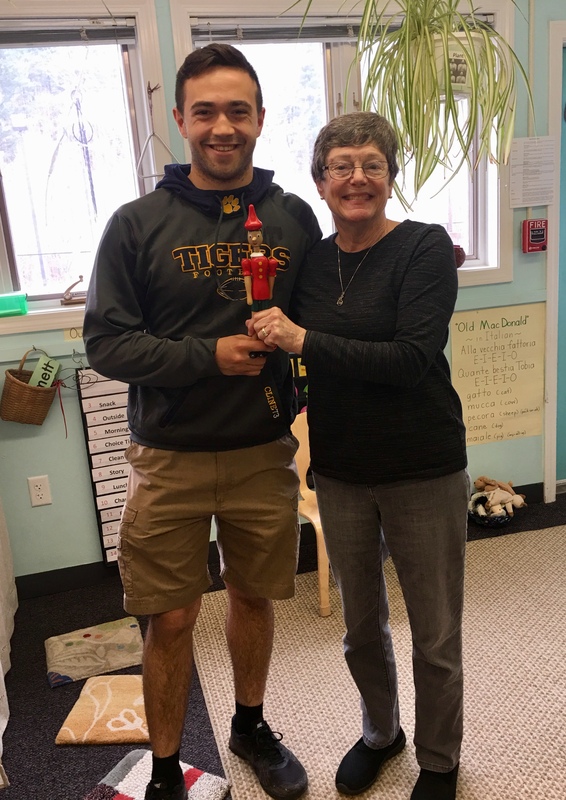 After his trip to Italy, Wesley came bearing gifts- a Pinocchio for each child and a large Pinocchio for the class. We learned that the story and character are from northern Italy. 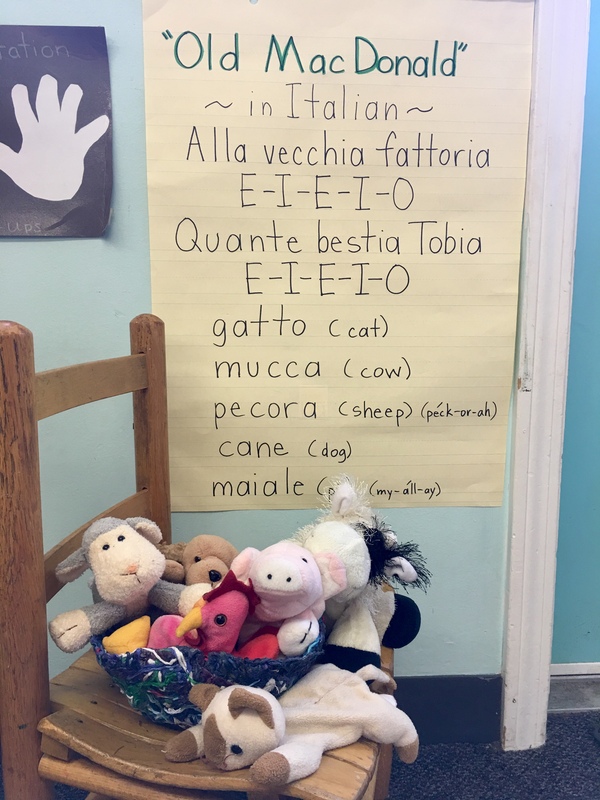 In turn, we taught Wesley to sing “Old MacDonald” in Italian. Thank you, Wesley. You told me it seems like yesterday that you were a little boy in my classroom. It seems like yesterday to me, too. And to my surprise, the children have driven the making of yet another quilt. 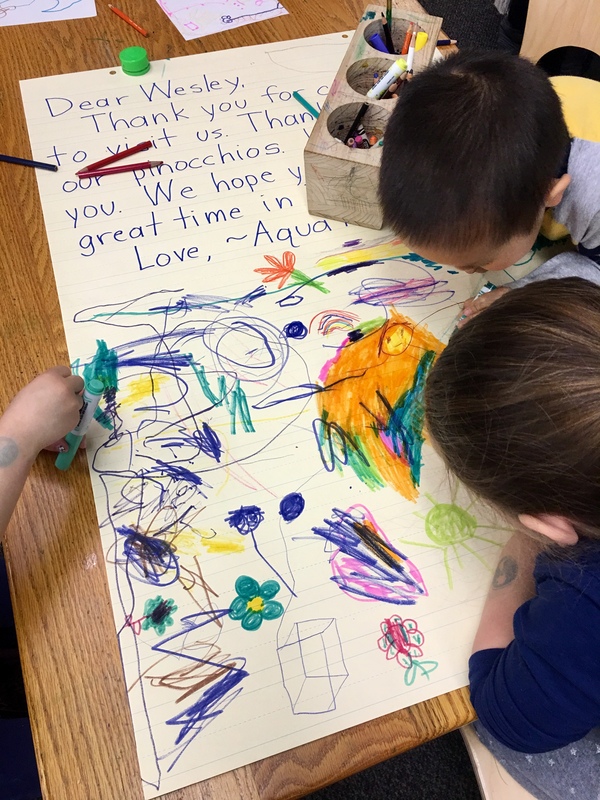 Over the past ten years, my preschool class has designed quilts. Each one materialized because of something the children were passionate about. When they couldn’t get enough of a song or an idea, I knew I had to give them more. Together we designed quilts. The process brought everything to life for children, from planning, to sketching, to designing, to picking fabrics. They did it all, and a wonderful master quilter made their dream come alive. The quilts are stunning. Well, that is an understatement; one hangs at the National Liberty Museum in historic Philadelphia, one hangs at the Boston Fisher House, and one hangs at the State House in Boston. Humbling. Each quilt was a year-long project, starting with the children and what they loved. And now it has happened again. All it takes is a spark. 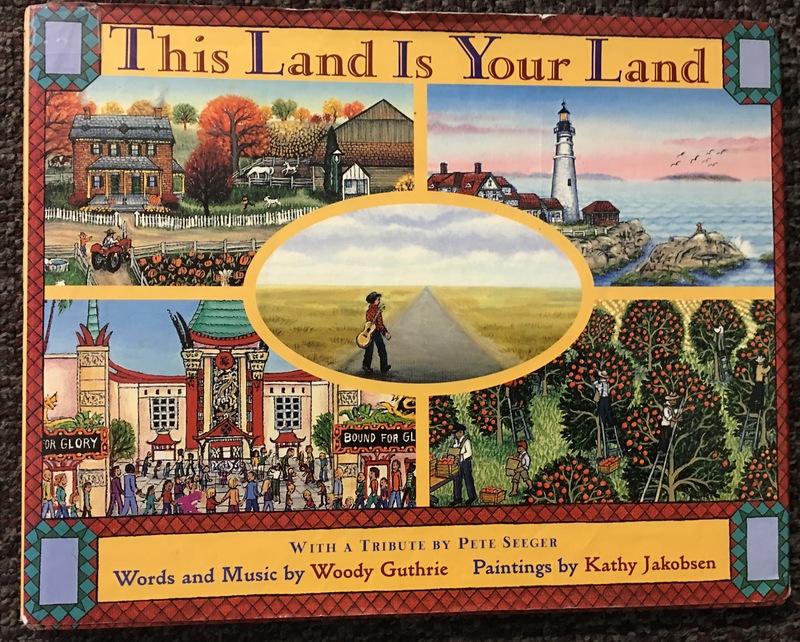 In the fall, children loved singing “This Land is Your Land” by Woody Guthrie. I sing with children all the time, and I sing many kinds of songs. For whatever reason, they wanted to sing “This Land is Your Land” over and over again. I’m talking at least two to three times a day. The book to this song is on our bookshelf. It’s an outstanding book. The illustrations bring the song to life. There are also many illustrations along the edges that give a wonderful visual of America’s landmarks, big and small. 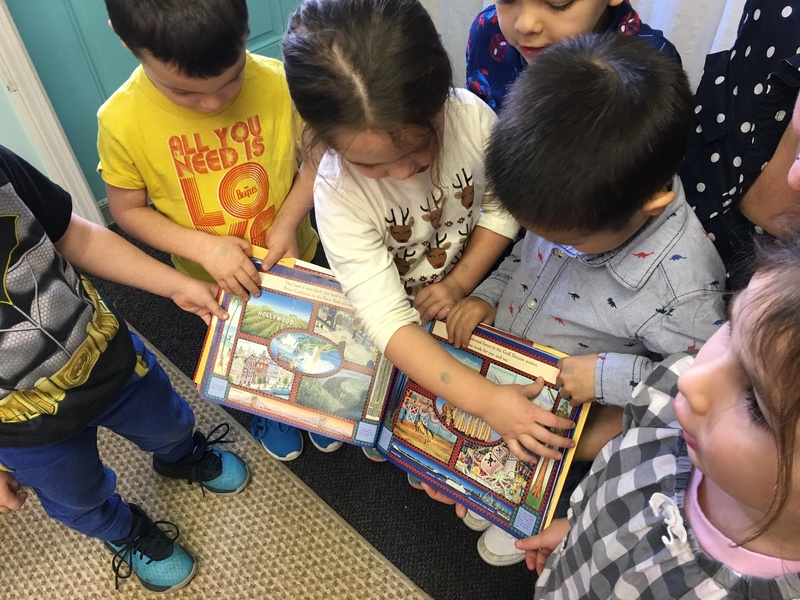 We play “I Spy” with this book all the time. The biggest challenge is finding thirty flying American flags. Thirty! Some are obvious, many are not. Finding the flags means we have to stop when we find one, like a flag on the Delta Queen, or one on on the Esplanade in Boston – home of the Boston Pops Fourth of July concert, or a flag on Ellis Island. Geography + history + patriotism at its best. Most importantly, the children grab the book every time they want to sing the song. It is the song, their song. And as they sing, they want the book in their hands. I welcomed a new friend, Travis, who plays the guitar. The children love his songs, especially “It’s You I Like”, by Mister Rogers. Travis started coming to sing on a regular basis. Interestingly, as soon as he sat down, Eddie or Emmett or Boden would rush over to the book shelf, grab This Land is Your Land, and shove it into Travis’ hands. 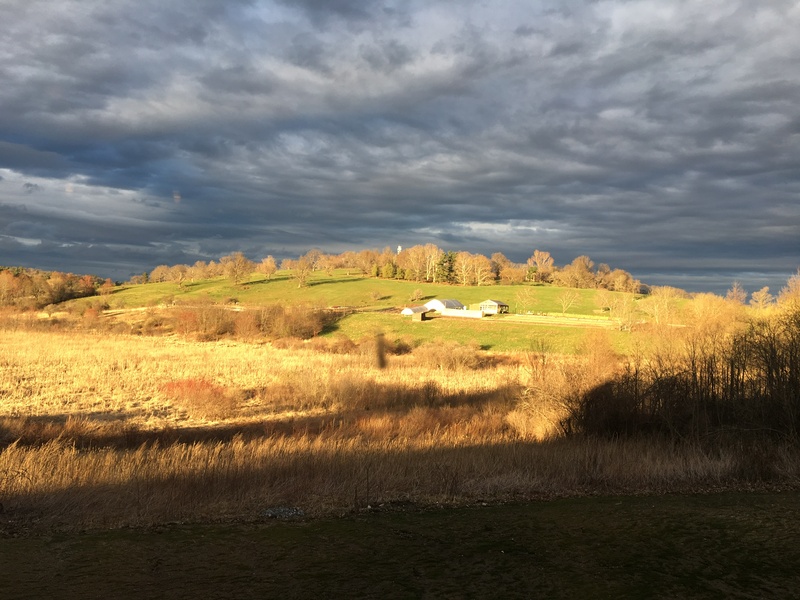 They had to have that song – first. And occasionally I would join in. By winter, I had ‘lost control’ over the song and the book. Children ruled the roost, getting the book and singing all the time. Did you know there is a verse, a page, that is pretty dismal? No happy America. Children call it the ‘sad page’, and we sing it in a quiet and slow way, because it is sad. Children love this verse. “Jennie, can you sing the sad page?” Pretty powerful stuff. I have to be true to the song, so I sing that verse. 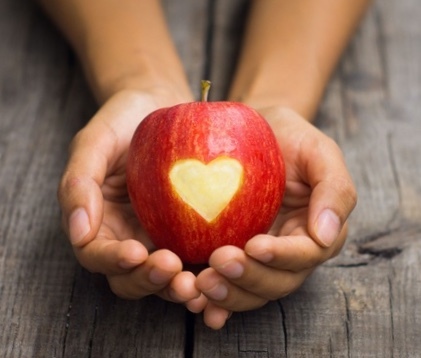 I think we underestimate children’s ability to understand and feel compassion. The illustrations on ‘the sad page’ are bleak… and then the next page and verse is the same scene, with everything fixed and repaired, and people working together to build a new playground. I flip back and forth between the two pages to help children find all the changes. That next verse is the final verse of the song. It’s the one that gets me a little choked up. It’s the one where children stand tall and proud. Sometimes children would come to me in the middle of activity time and ask me to sing with them. Other times they would sing collectively on their own. No teacher was needed, or for that matter even wanted. It was wonderful. 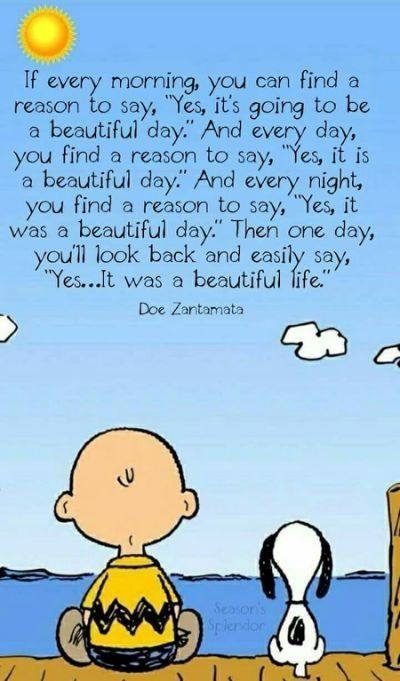 And then one morning, something happened. Something big happened. Stayed tuned for Part 2. 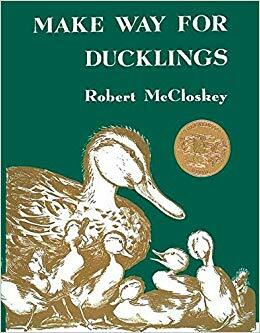 Robert McCloskey’s classic story, Make Way for Ducklings, is immortalized in bronze statues in the Public Garden on Boston Common. Mrs. Mallard and her eight ducklings, Jack, Kack, Lack, Mack, Nack, Ouack, Pack, and Quack are all decked out and dressed in their fancy bonnets, ready for Easter. This classic children’s book was written in 1941 and received the coveted Caldecott Medal in 1942. The story, based in Boston, is about two ducks, Mr. and Mrs. Mallard, and their journey to find a proper home and start a family. After the ducklings hatch, there are adventures throughout the city and help from a friendly policeman named Michael. 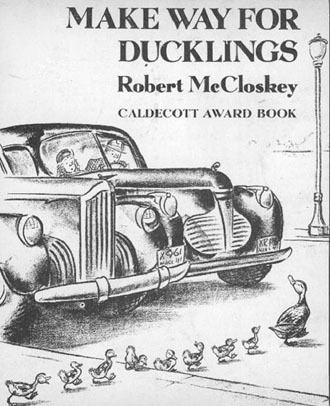 Make Way for Ducklings has been continuously in print since it was first published. As of 2003, the book had sold over two million copies. The city of Boston has whole-heartedly embraced the story. 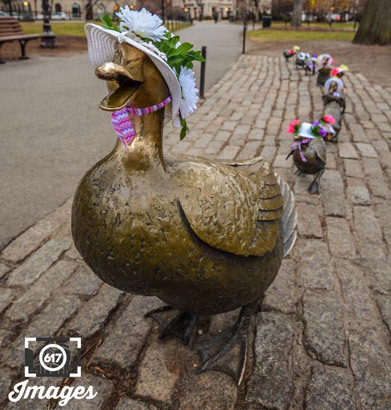 In the Public Garden where the Mallards eventually settled, the bronze statues of Mrs. Mallard and her ducklings by artist Nancy Schön was erected in 1987 – a tribute to Robert McCloskey. Happy Easter from the Bronze Ducklings at the Public Garden in Boston.